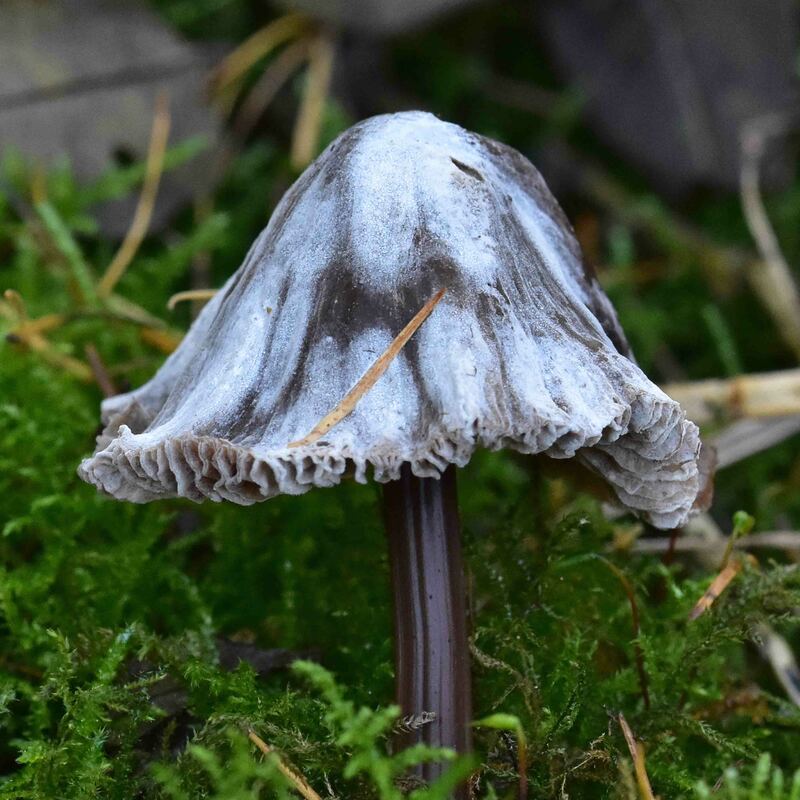 I have recorded this fungus that i found in woodland near Empingham (18-11-2018) as a Magpie Inkcap (Coprinopsis picacea) on Nature Spot. I think this ID is wrong mainly due to the stem being a dark brown and not white. Although it has a black white pattern to it, this is not like photo's i have seen on the wider internet searches i have done. It was at the base of an Ash tree, in shade and in a fairly damp environment. 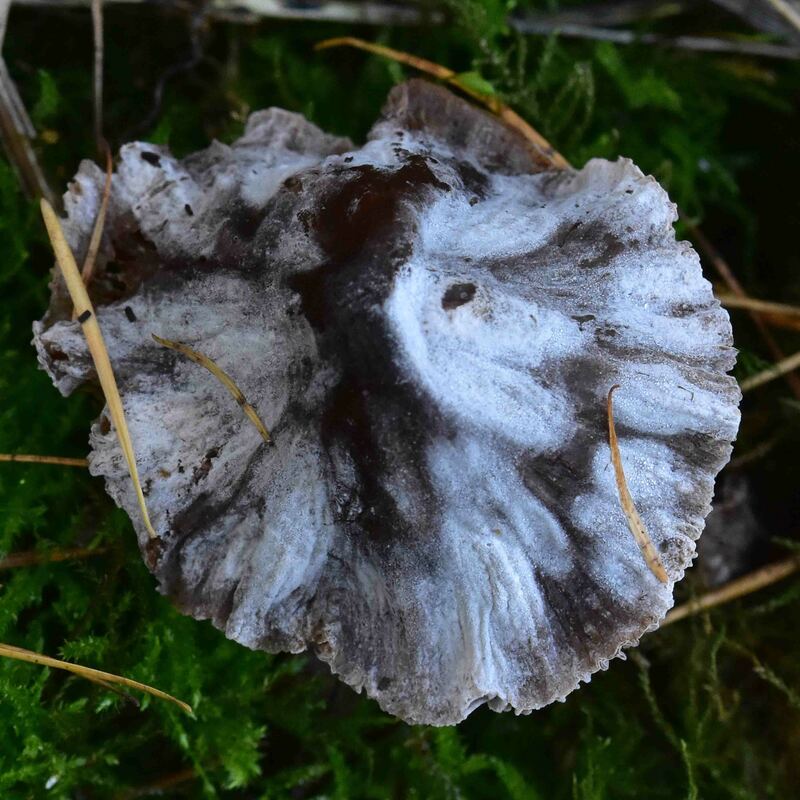 Looking at the entries for the magpie inkcap the white marks are apparently made of white fibrils with a tuft like appearance whereas this looks like a form of decay given its dusty mould like appearance. The stalks almost look like brown plastic in those pictures. Could do with more pictures of fungus when its decaying or in its early stages to help identification but most sites seem to only provide pictures of them when they're in their prime. Thanks, i will leave my record as it is on NatureSpot and i will go back next year to the site of this one ... a few days earlier that is and see if they come back!